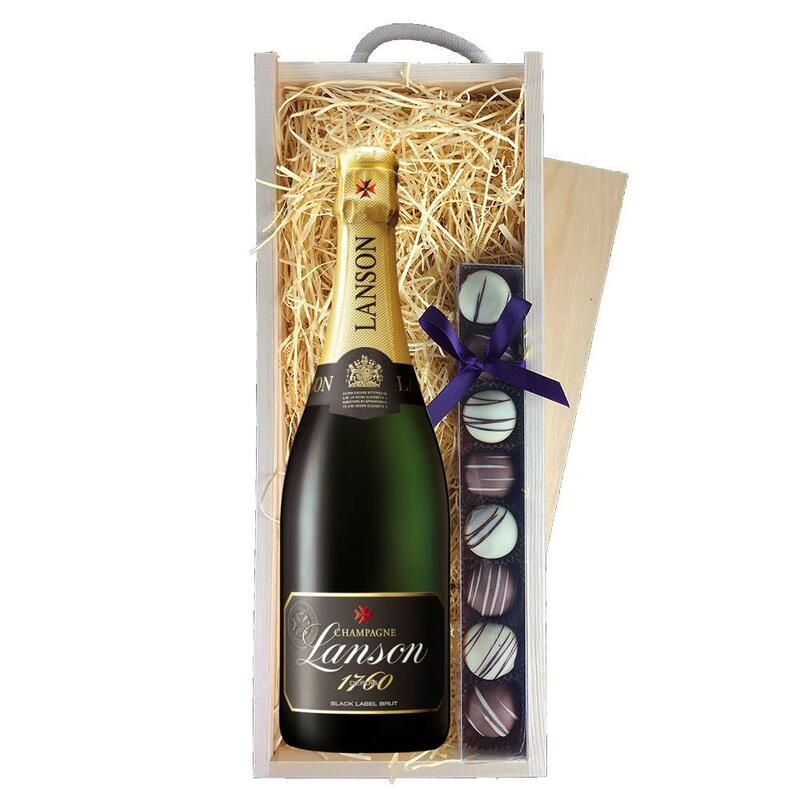 A single bottle of Lanson Black Label Brut 75cl 75cl and a single strip of fine Hand Made Heart Truffles(100g) Presented in a wooden gift box with sliding lid and lined with wood wool with a Gift Card for your personal message. 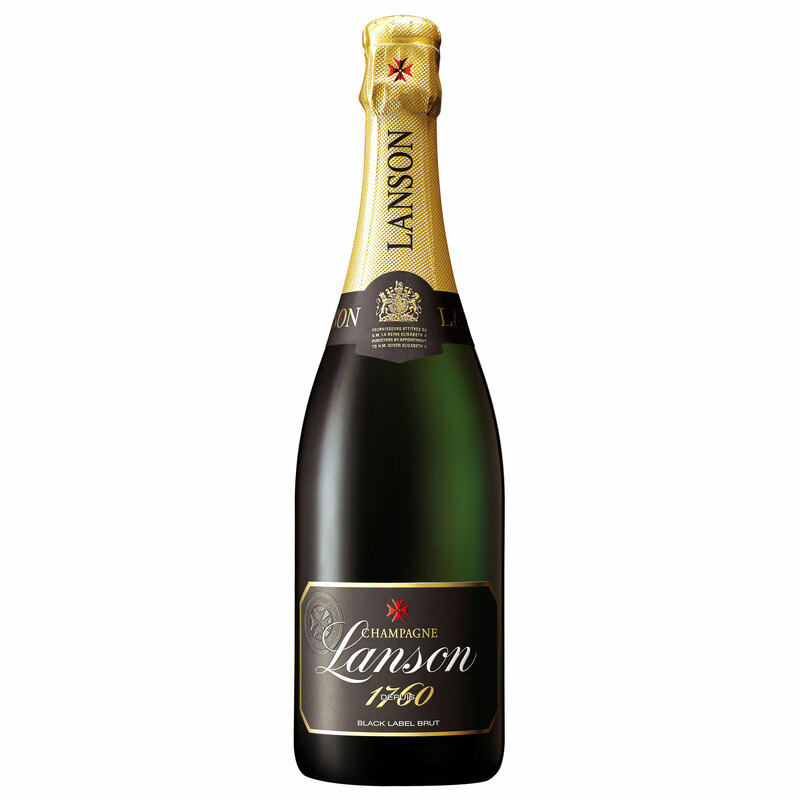 The Lanson Black Label Brut; Three grape varieties come into making of this champagne: Pinot Noir and Pinot Meunier (black grapes) and Chardonnay (white grapes). An outstanding range of 40 to 50 Crus are blended together to form this champagne and they are all vivified separately so the cellar master has an exceptional choice of aromas, available to him, thus guaranteeing the consistency of Lanson at all times. A sparkling gold colour with hints of amber. On the nose, impressions of spring mixed with a touch of toast and honey. 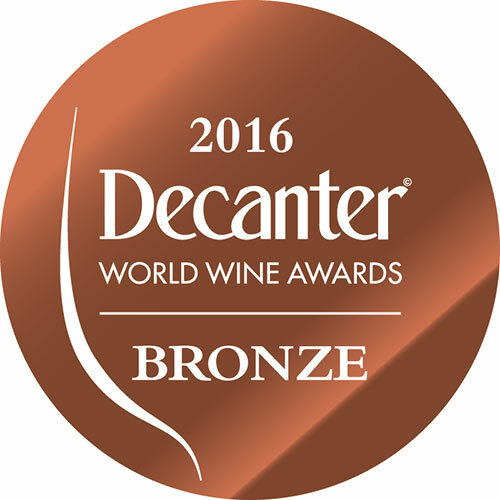 The palate consists of ripe fruit and citrus - creating a sensation of fullness, fruitiness and lightness. You can also add chocolates, glasses, a gift box or a balloon to make a gift set no one will forget. This product is hand packed onsite by Gifts International, and is not affiliated with any other brand. Gifts International is responsible for this product combination/set.